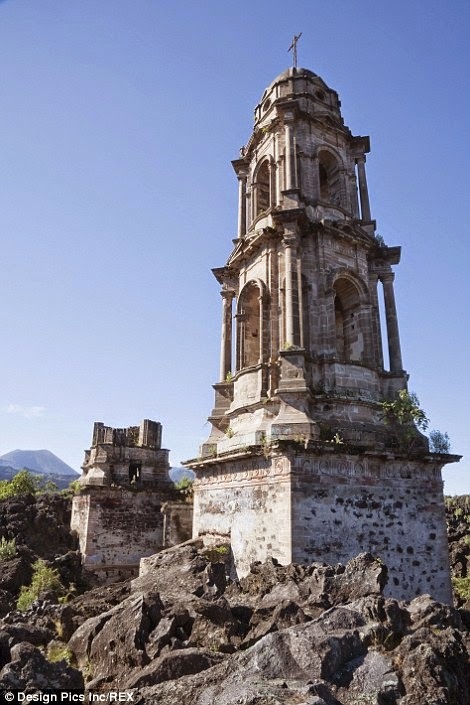 A church is all that remains of the small village of San Juan Parangaricutiro in the state of Michoacán in Mexico. 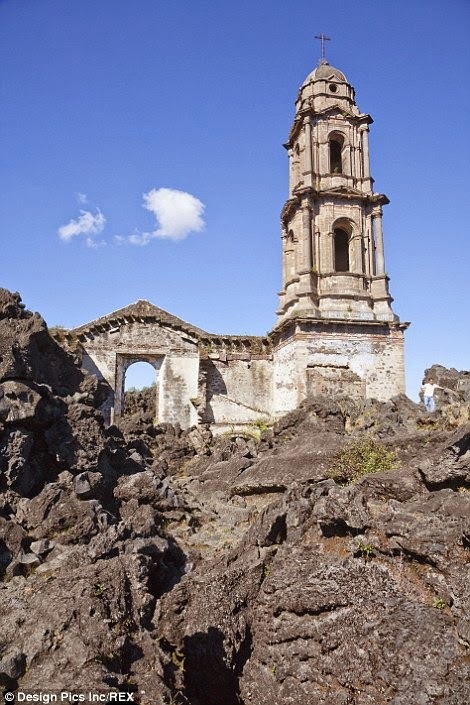 The town was completely blanketed after the eruption of Volcán de Parícutin in 1943. 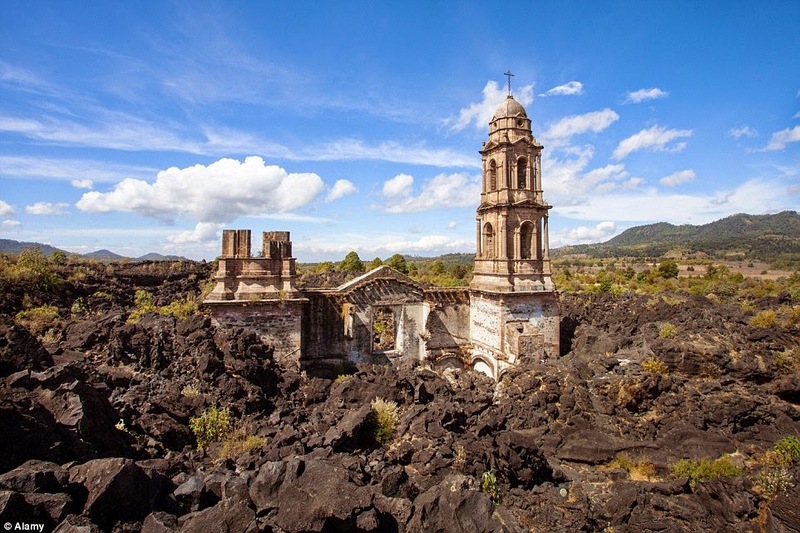 For the next eight years, lava flowed freely, burying the town underneath feet of volcanic rock - though its church survived unscathed. 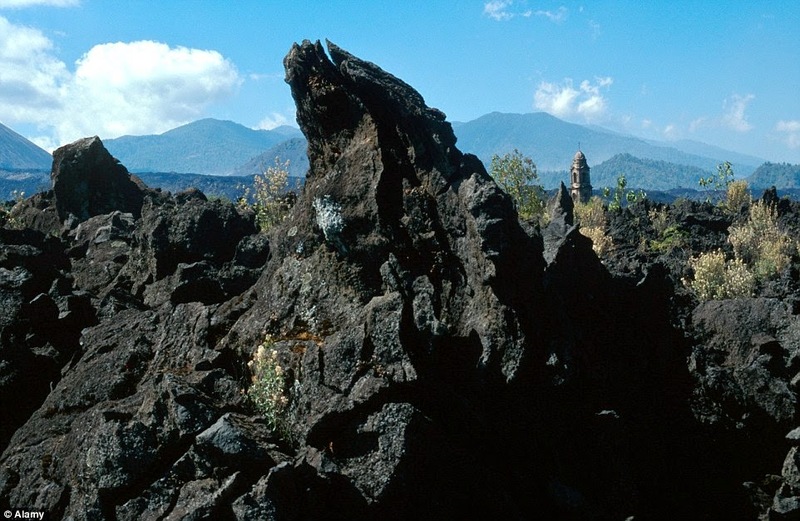 The volcanic eruption was particularly unique as its entire evolution was observed and studied. 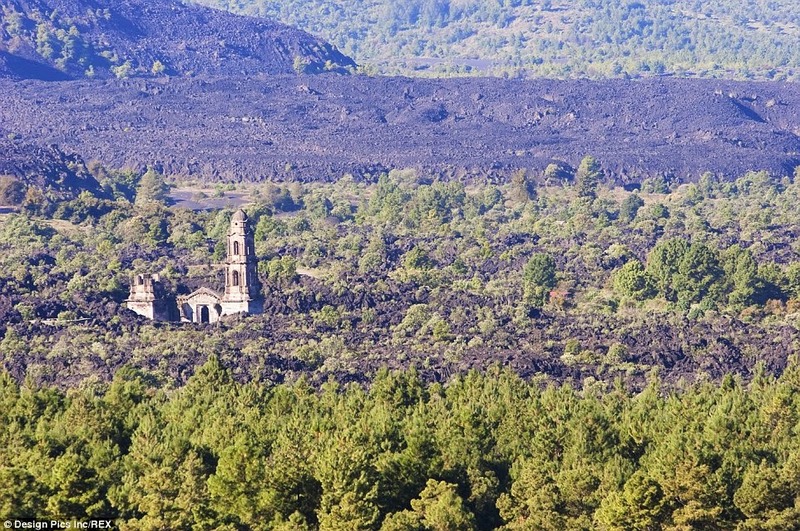 Many also consider this volcano, and adjacent lava-covered village, to be one of the natural wonders of the world. 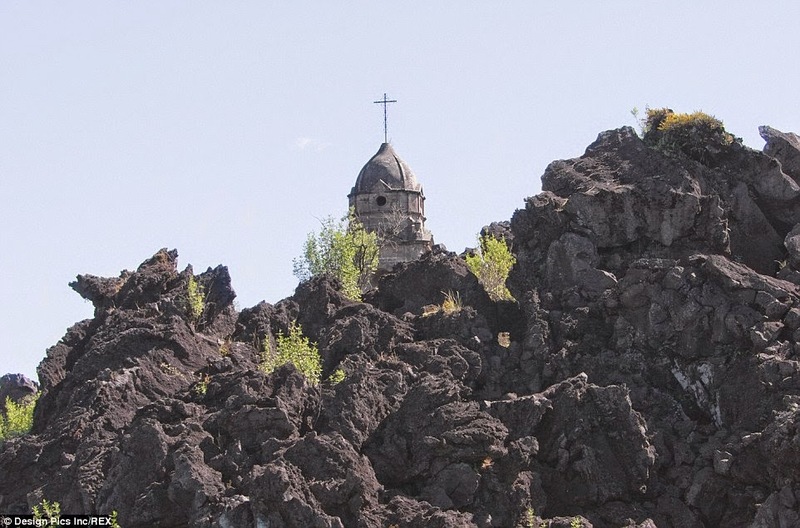 Under the church, houses and other buildings remain buried, though thankfully no residents were injured during the extended eruption. 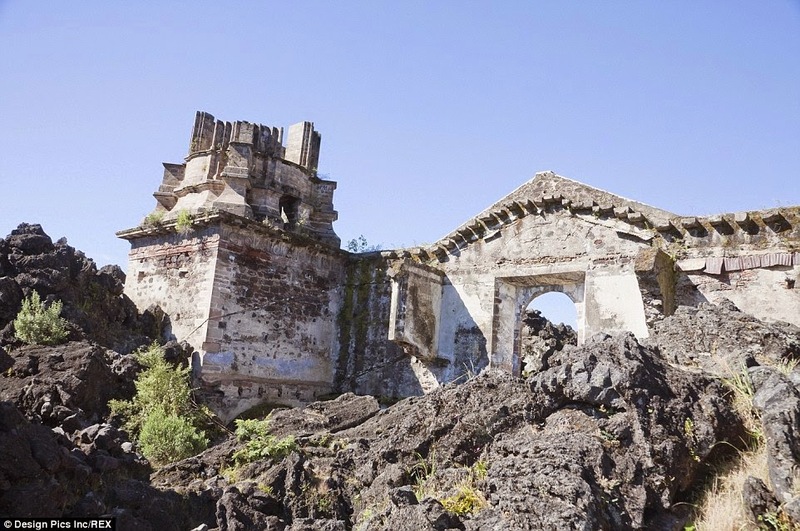 While some like to believe that it's ability to withstand the lava was an act from above, the solid slabs used to build the structure have also been credited. 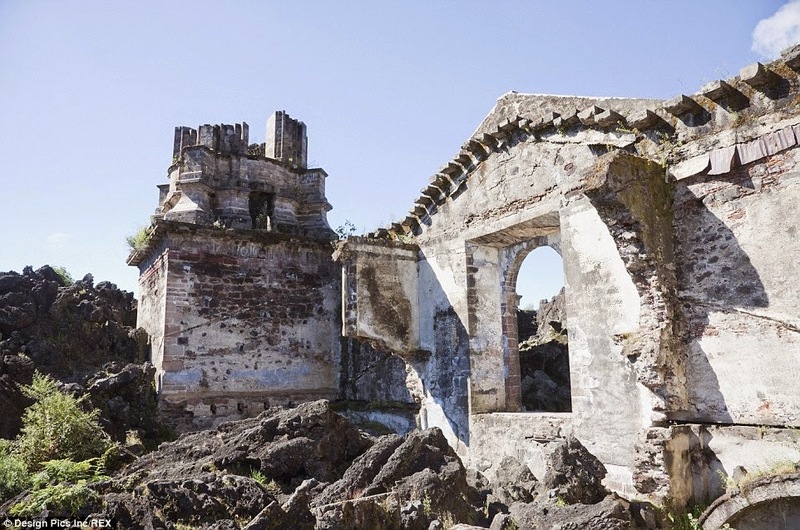 Even today, the haunting images show a stark contrast between the barren ground and the holy building.